Perfect pasta dish for your next Halloween Party! 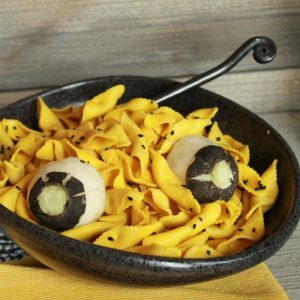 Take out they eyeball and add roasted cauliflower, shrimp and/or peas for an anytime pasta party dish. cut the radish in half width-wise, creating two half domes. score a line through the skin around the end each half, about 1/2 inch from the circumference of the other circle. Peel the black skin from the score line to the raw middle edge of the radish. Cook Pinchetti According to Package instructions. 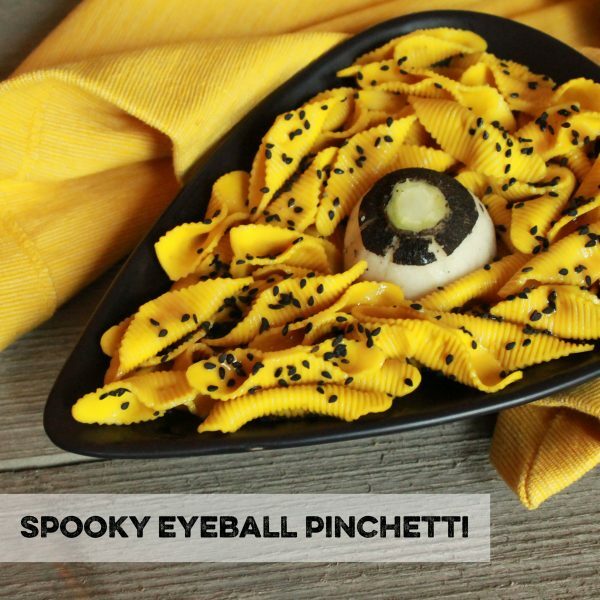 Place eyeballs in a spooky arrangement atop the pasta. 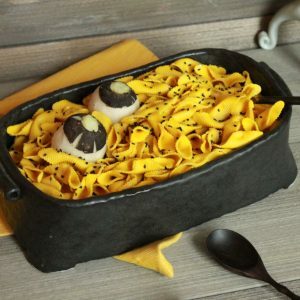 Enjoy in Fall Fun!